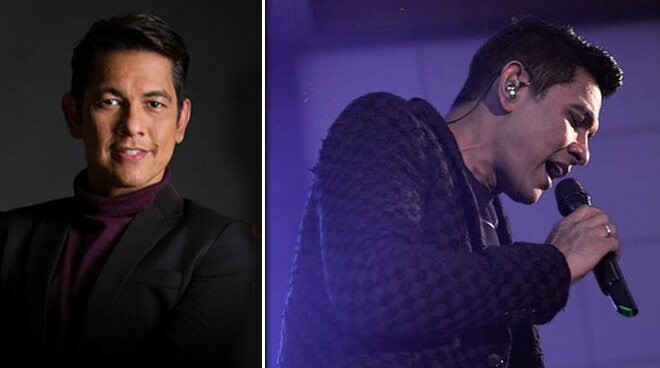 Nakapag-perform na ulit si Gary Valenciano para sa isang event. Balik-trabaho na ulit si Mr. Pure Energy Gary Valenciano. Nag-perform na siya sa Panasonic PH event noong Tuesday, July 17, na ginanap sa New World Hotel. Ito ang first public appearance ni Gary V. matapos siyang magkaroon ng problema about his health at maoperahan. Ayon pa sa post ni Angeli, nag-renew ng endorsement si Mr. Pure Energy sa Panasonic PH. “Here he is not quite there... but on his way back... and truly a living, breathing miracle. His outer wounds healed so fast but his doctors said don’t rush Gary... and yet he wanted to sing this second song to make everyone happy. “Thank You, Jesus! Thank You for Your faithfulness! And to all of you out there who prayed nonstop for Gary... thank you so much! We can’t stop praising the Lord for His kindness to Gary and our family. We are deeply grateful for all your love, your prayers, your cards and letters, your posts and messages, the flowers, the fruits, the gifts and for making us feel so loved. “What a journey it was and continues to be. Apart from Christ we could do nothing. The Valenciano family is deeply grateful. And to Panasonic Philippines and Japan—for trusting him despite all these challenges—thank you for the partnership and support. God bless us all,” post ni Angeli. Kahit bagong opera ay sumasayaw-sayaw pa rin si Gary habang nagpe-perform, yon nga lahat, halatang nag-iingat pa rin ito sa kanyang mga galaw.